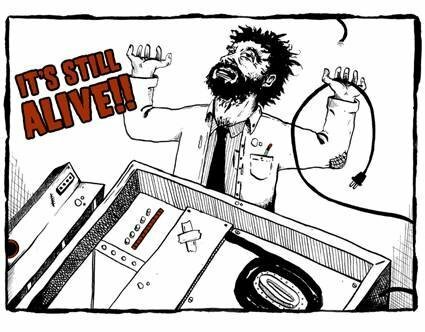 In this seventh slide of the data center house of horrors slideshow, pundits keep pushing on the fact that the mainframe just won't die. For decades, pundits have inaccurately predicted the mainframe’s demise. But the following story is about the mainframe they couldn’t keep alive. “When I was at Cornell around ’74, we had just gotten the latest 370 for our data center,” said Wayne Kernochan. “But a strange thing kept happening: Suddenly -- after a few hours, and for no apparent reason -- the 370 would stop working. "IBM sent a techie, but he ran into a brick wall. No crash was like any of the others; there were no hardware failures, there was no software cause. It was just that, after a few hours, the computer would stop working. "IBM pulled out all the stops, and brought in the real experts from their Colorado facility. After endless tests, they suddenly noticed something strange: Every crash happened right after one microcode instruction. Usually it worked fine, but every crash followed that one instruction.